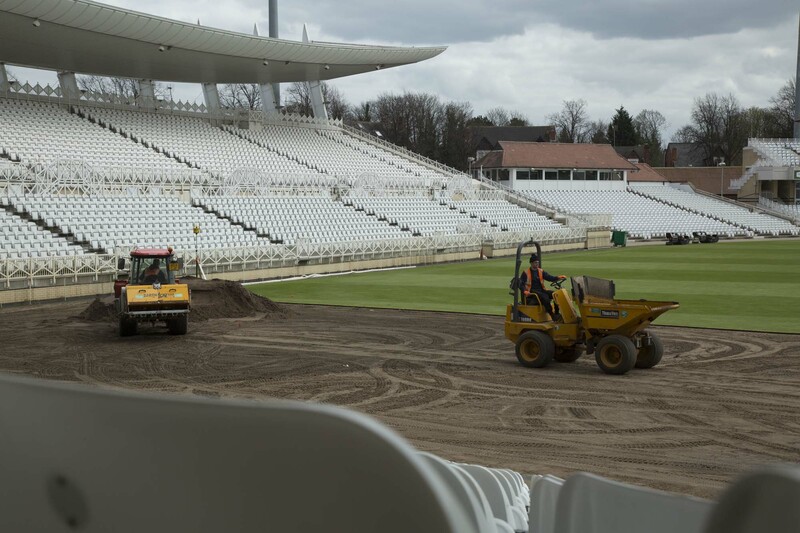 During the 2017 and 2018 pre seasons building contractors have been working on the Radcliffe Road Stand development. 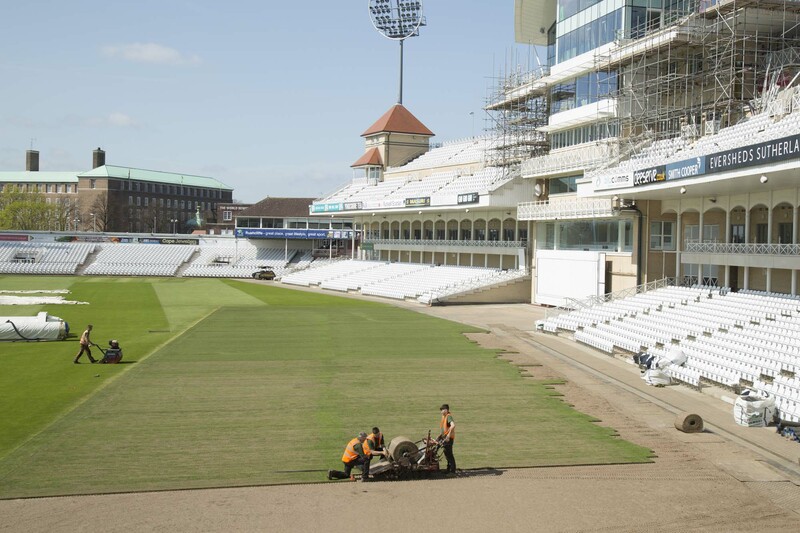 Prior to construction we stripped turf from a section of the outfield and removed the sprinkler heads to provide an area for the contractors to store materials during the project. 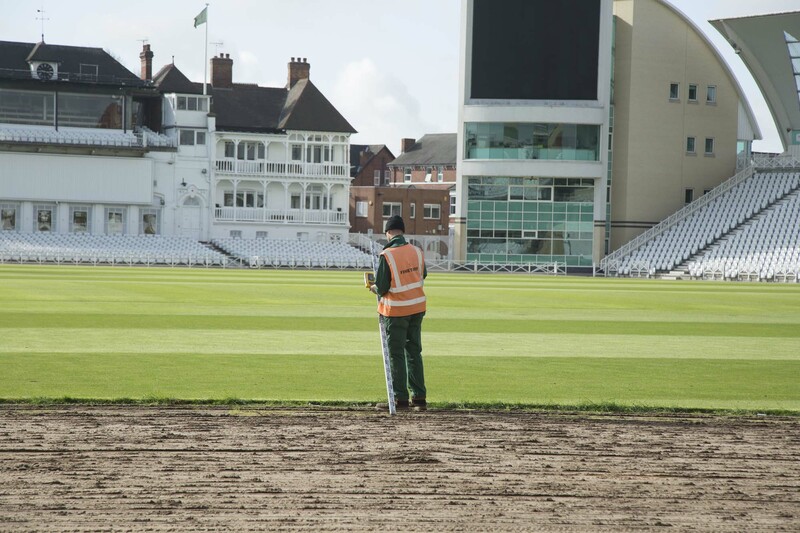 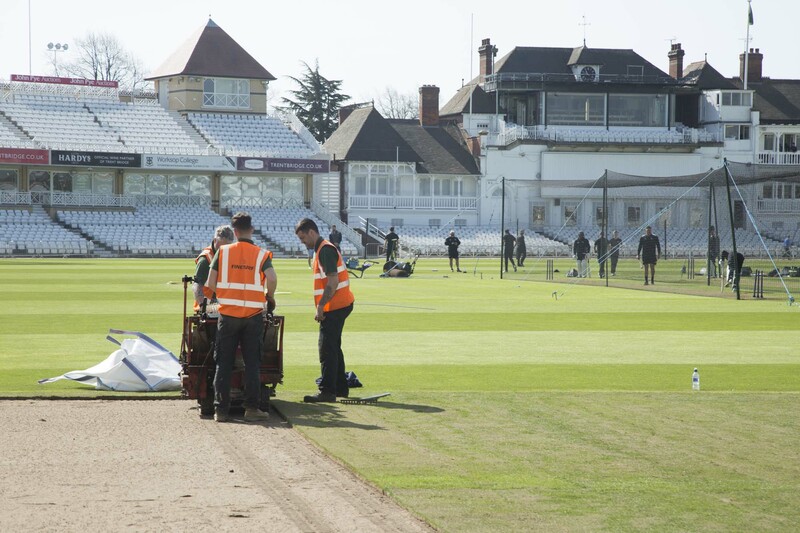 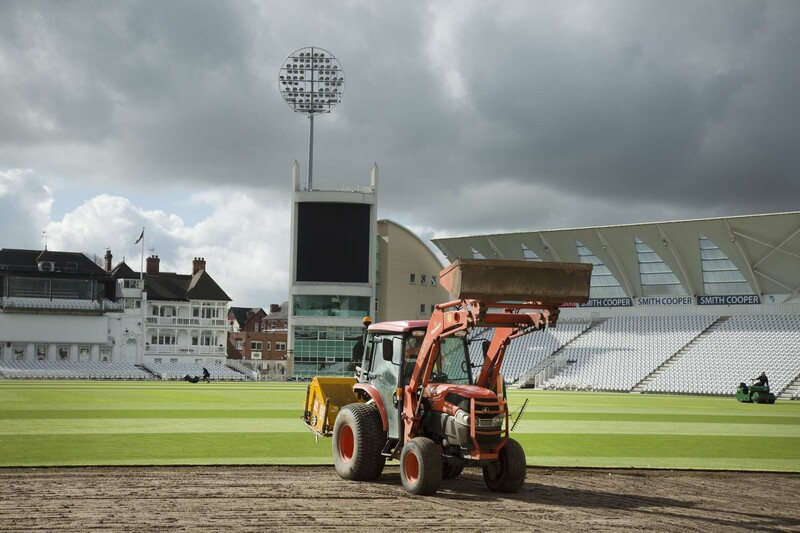 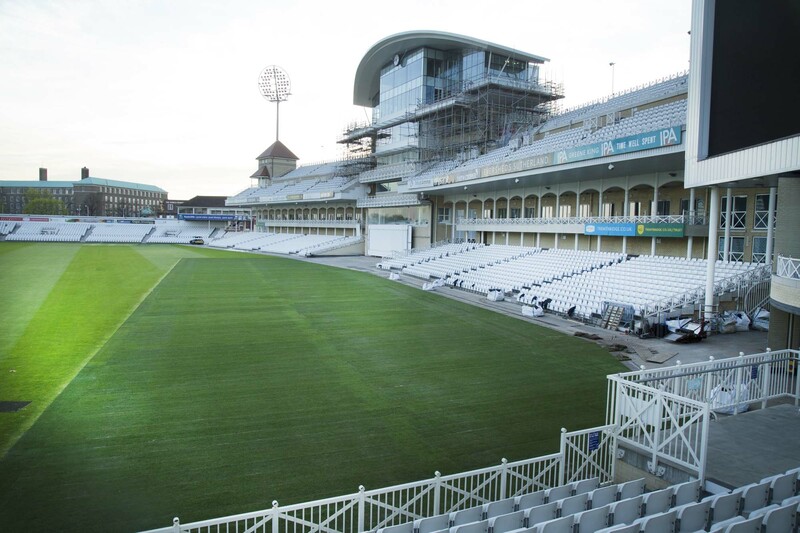 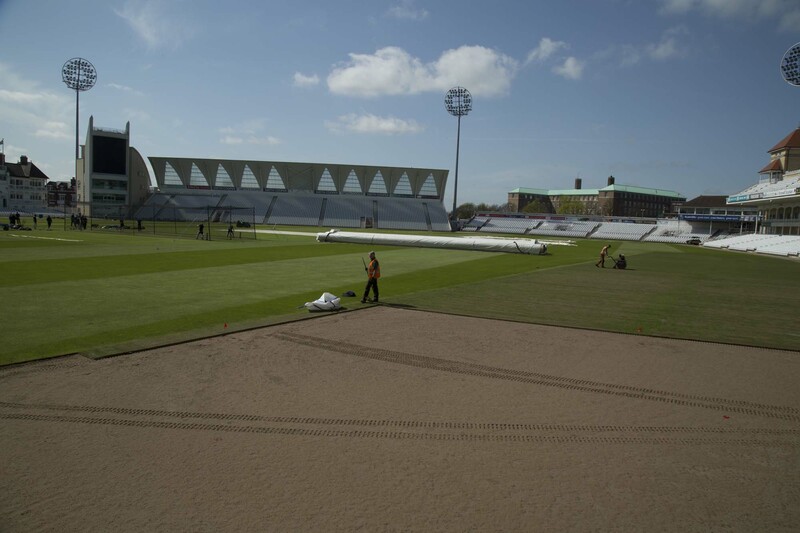 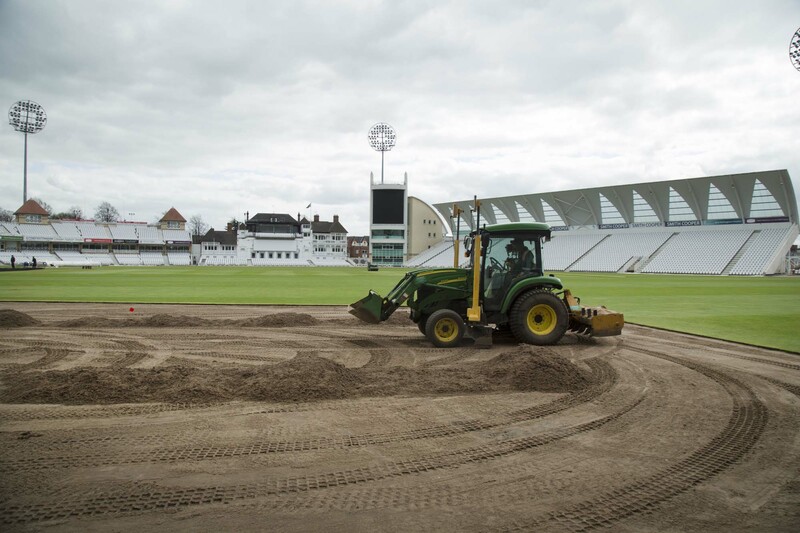 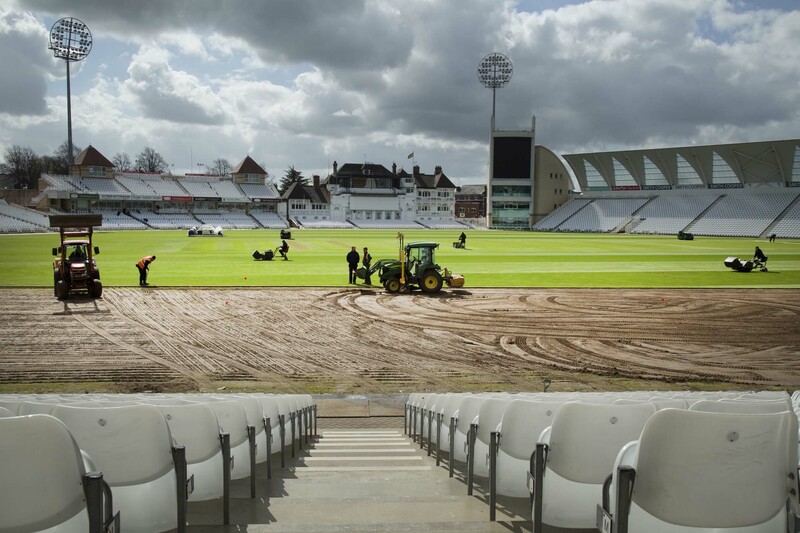 Following the completion of the stand we were tasked with reinstating the outfield ready for the first game of the Specsavers County Championship against Hampshire on 4 May. 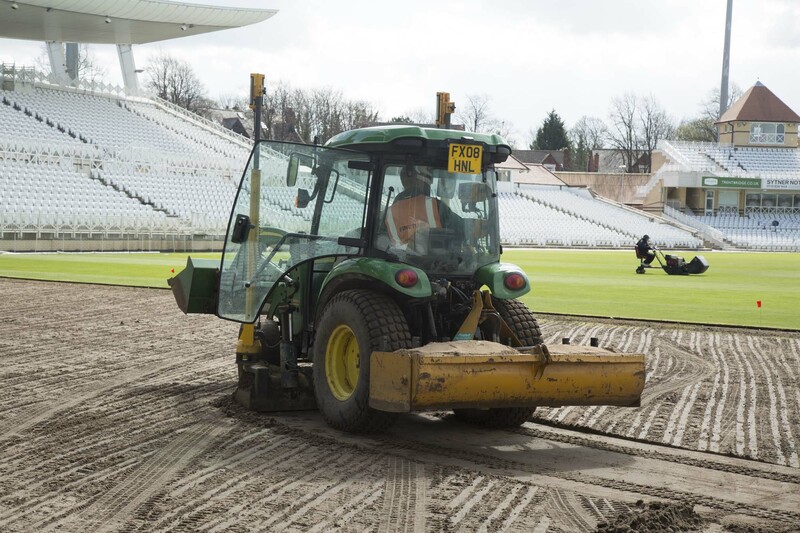 The area was aerated to relieve compaction. 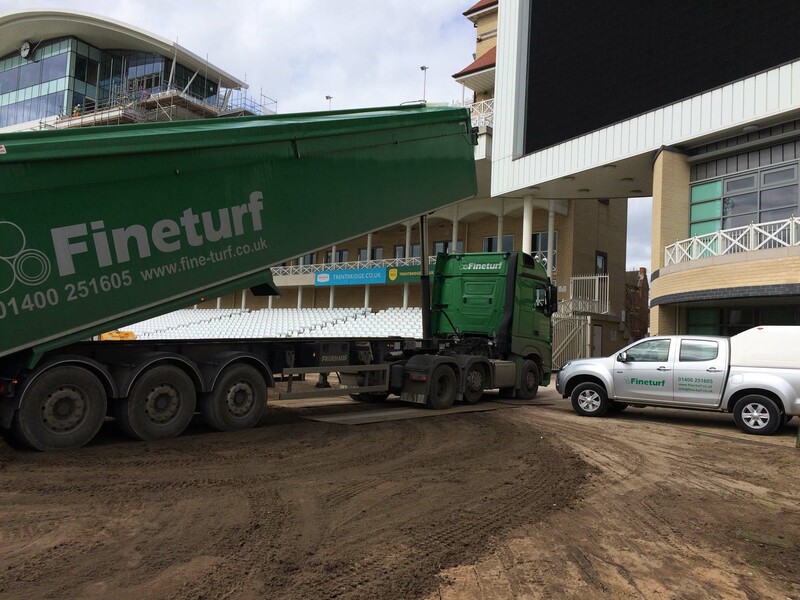 We spread sports sand and ameliorated this into the existing topsoil and laser graded. 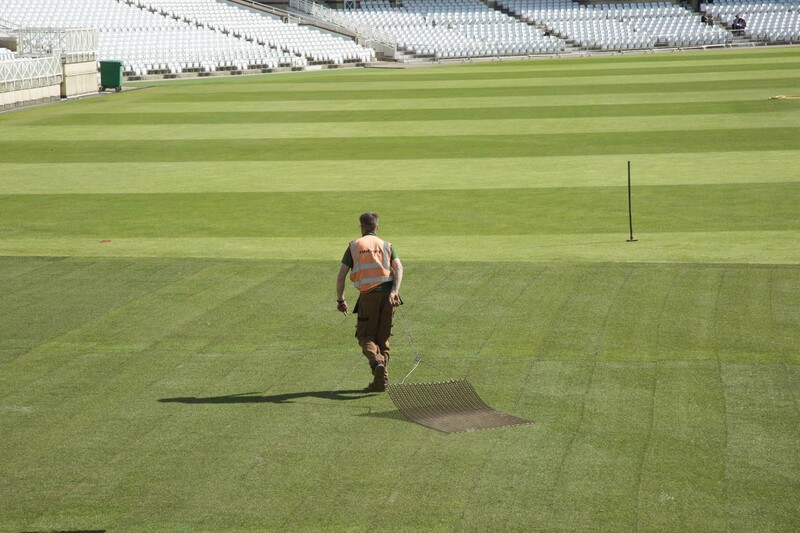 The ground was prepared with a Blec Pedestrian Stonerake and hand raked. 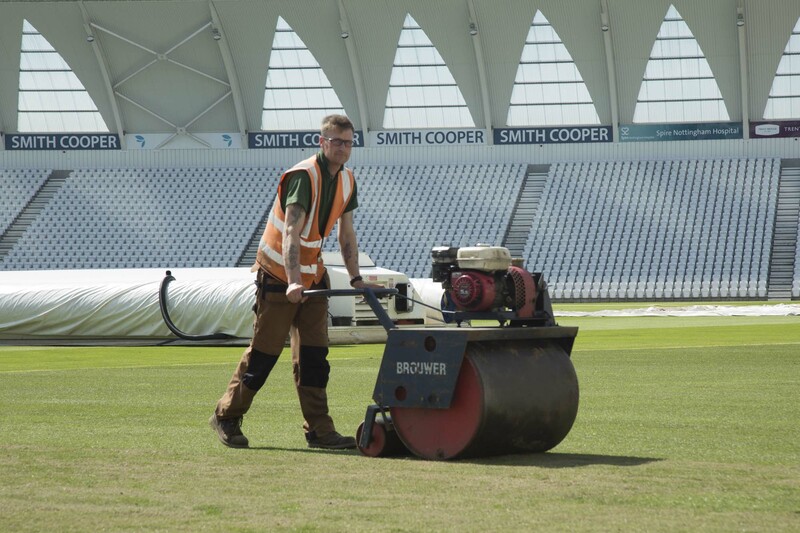 We installed 1700m2 of thick cut, custom grown Tillers Turf. 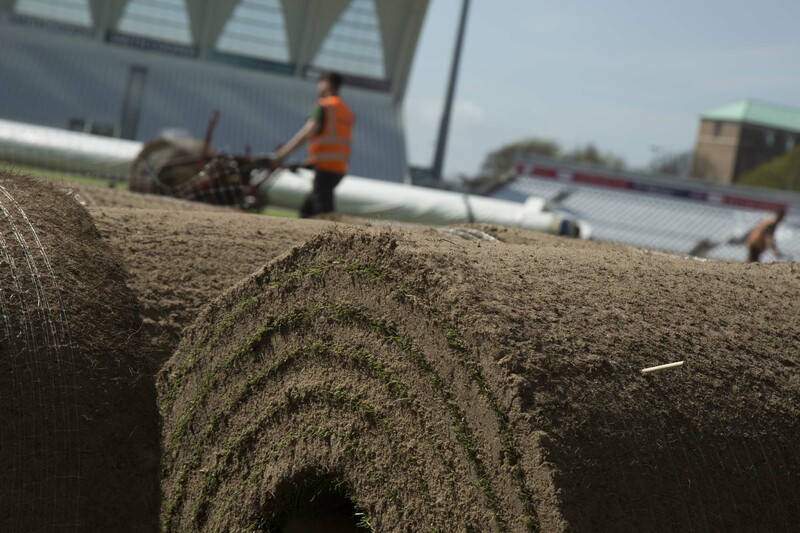 This was a Fescue / Bent mixture grown on rootzone for compatibility with the existing surface. 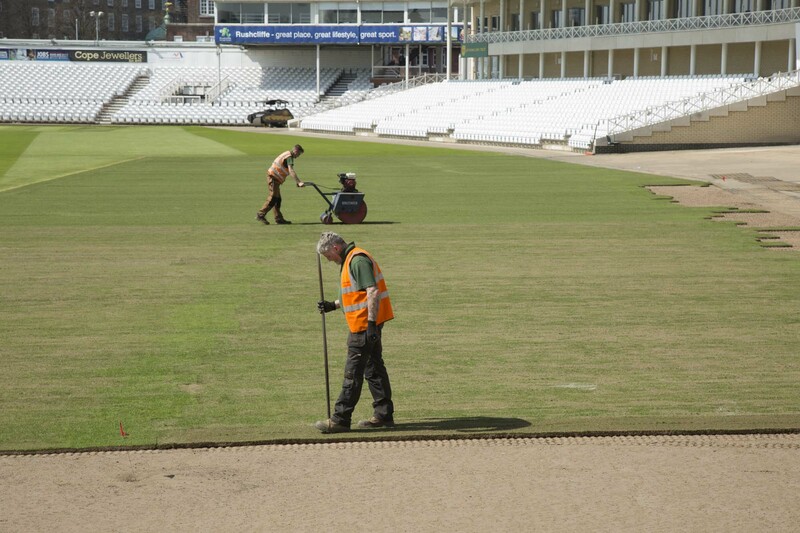 The sprinkler heads and pipework were also reinstalled.